California is known as the mecca of celebrity culture in the USA and in some ways, it is; this is where you’ll find Hollywood, after all! But there’s a lot more to this large American state than famous faces, film studios and the amusement parks that go with them. It’s also home to Silicon Valley, the global headquarters of many big tech companies. And don’t forget the iconic Golden Gate Bridge. There’s also some fantastic natural beauty on offer in California. There are giant redwoods to see, deserts and rock formations, and fantastic beaches along the coast. It’s home to sweeping landscapes, vineyards, and a collection of cities that are as famous as the state itself: think San Francisco, Los Angeles, and San Diego. Packed full of culture and good food, the best places to visit in California are fascinating to explore. Located between the Carmel Highlands and San Simeon, Big Sur is a large, rocky stretch of the Californian Coastline. True to its name, Big Sur covers a rather large expanse of the coast; although it doesn’t have any official boundaries, it lines around 70 miles (110 km) of the California’s famous Highway One. 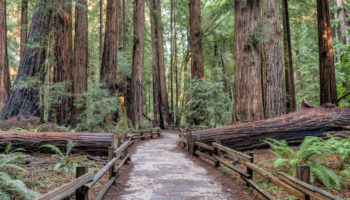 The area is a magnet for travelers on road trips, who are attracted by the incredible jagged rocks, towering redwood trees and breathtaking beaches along the route. More than just beautiful scenery for driving through, the area also provides plenty of top hiking opportunities which wind their way through the several state parks encompassed by Big Sur. This charming island is located approximately 22 miles (35 km) across the Pacific Ocean from Los Angeles. 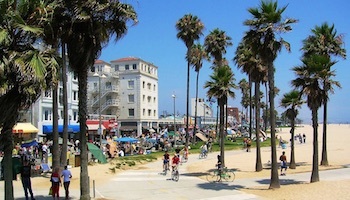 It is both a favorite day trip for visitors to L.A., as well as a popular vacation and honeymoon spot. Santa Catalina is a small island with two main centers of population, Two Harbors and Avalon. Most travelers to the island stay mainly in the Avalon area. Surprisingly, the island even boasts a small population of American bison that were brought to the island during the filming of a movie. Travelers can reach the island by private boat, ferries, helicopters or small planes. Once on the island, transportation is limited to bicycles, taxis and golf carts. 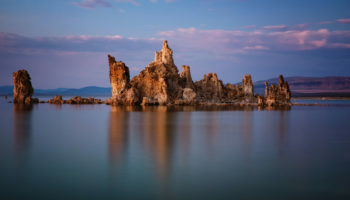 Lake Tahoe is not only impressive for being the second deepest lake in the US, but also for its wide length of shoreline which offers fantastic natural vistas. The freshwater lake straddles both California and Nevada and is a top destination year round. South Lake Tahoe is the most popular part of the lake, with visitors attracted by the numerous restaurants and gambling opportunities in the Nevada town of Stateline. The lake became a vibrant winter sports destination after the 1960s Winter Olympics were held in Squaw Valley on the North Shore. Summer brings hiking in the mountains and boat trips on the lake, as well as days spent lazing on the shore, swimming, and BBQs. These two national parks are located next door to each other in the southern Sierra Nevada Mountains, and both are famous for their enormous giant sequoia trees. 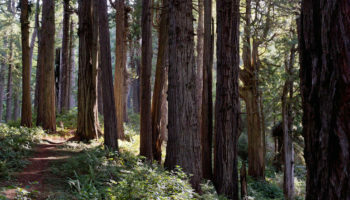 These trees can grow to be more than 300 feet (90 meters) tall and their trunks can be as much as 100 feet (30 meter) wide. Sequoia National Park, which was established in 1890, is also home to Mount Whitney, which is the highest point in the contiguous United States. Interestingly enough, Kings Canyon boasts the deepest canyon in America. The parks are also home to a lot of wildlife species, including bobcats, gray foxes, bears and mule deer. If they’re lucky, visitors might even be able to spot bighorn sheep or mountain lions. Both parks are popular with backpackers and hikers, and there are 14 campgrounds available for visitors. Napa Valley is the premier destination for wine lovers in the United States. Its wines are considered to be some of the best in the world. To accommodate the many vino connoisseurs that travel to Napa, the area now boasts a variety of accommodations, including charming bed and breakfasts, lovely boutique hotels and well-known chain hotels. 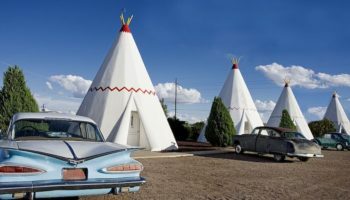 There are also camping grounds available for those interested in saving a little money on lodging. In addition, Napa Valley boasts many world-class spas where visitors can get pampered and enjoy a variety of fun activities, including hot air balloon rides and guided bike wine tours. With fabulous beaches, ideal climate and outstanding family attractions, it is no wonder that San Diego is one of the most popular places to visit in California. Located just north of the Mexican border, San Diego is a large coastal city with a small town atmosphere. The most popular attraction in San Diego is America’s premier zoo, which is located in Balboa Park with flowering gardens and Spanish architecture. The city is home to other family attractions like SeaWorld San Diego and the Birch Aquarium. Another tourist magnet, San Diego’s stunning coastline, offers miles of fantastic beaches including the upscale beach neighborhood of La Jolla. Located in the Mojave Desert, Death Valley encompasses much of the Death Valley National Park. 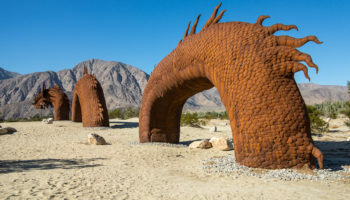 Although regarded as the driest and lowest place in North America, Death Valley offers a variety of outdoor activities, historic sites and nature viewing. From snow-capped mountains to colorful sand dunes, the unique desert landscapes of Death Valley are like no other place in California. 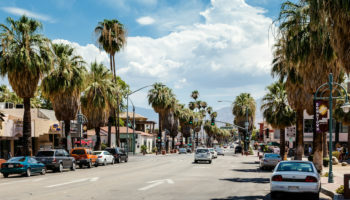 Places of interests include the scenic vista of Zabriskie Point and historic sites like Scotty’s Castle, the Wildrose Charcoal Kilns and ruins of ghost towns. The second-largest city in the USA, Los Angeles is located in southern California surrounded by the Pacific Coast, mountains and valleys. 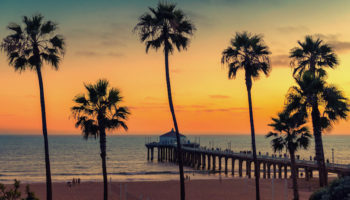 Known as the City of Angels, the city offers a wide range of attractions and beaches, including wild-and-crazy Venice Beach and Malibu, the sandy playground favored by movie stars. Travelers to L.A. can find some of the best-known amusement parks on the planet here, including Disneyland and Universal Studios Hollywood. Los Angeles is also one of the best places in the United States to go in search of celebrities. Tourists can look for celebrity homes or shop at the designer stores in Beverly Hills that cater to the stars. And in L.A., travelers can also visit and eat at the same famous restaurants that the celebs and the rich and famous dine at. Located in the Sierra Nevada Mountains of central eastern California, the Yosemite National Park is well-loved for its stunning granite cliffs, Giant Sequoia groves, beautiful waterfalls and diverse animal and plant life. Visitors can hike among the 800 miles of trails, or drive along scenic routes to experience the beautiful landscapes and glimpse wildlife. 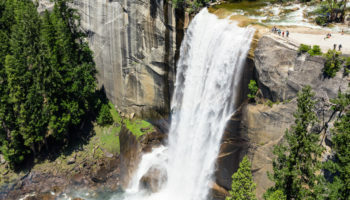 Attractions include Glacier Point, with incredible views of the Yosemite Valley, the nature center and Yosemite Museum and historic places like the LeConte Memorial Lodge and the Ahwahnee Hotel. 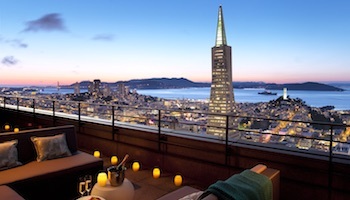 San Francisco is a fun and exciting city in northern California, set on the tip of a peninsula in the San Francisco Bay Area. Undoubtedly, the Golden Gate Bridge is the city’s number one attraction. Tourists can drive, bike ride or walk across this famous suspension bridge to admire and photograph stunning views. 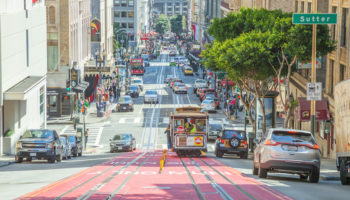 In addition, visitors to San Francisco can visit Lombard Street, which is famous for its tight curves, or take a trip to San Francisco’s Chinatown section, which is the largest outside of Asia. And then, of course, there are the other big tourist favorites — Fisherman’s Wharf and the infamous prison on Alcatraz Island. 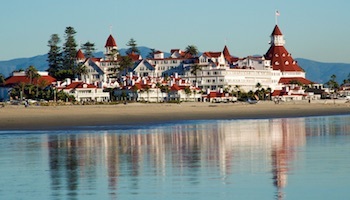 Which destination do you consider the best place to visit in California? I love the waterfalls in Yosemite. It was so attractive. And also San Francisco was epic. The golden gate bridge was so beautiful. But,my favorite is LA. It’s just so big and wide and has many attractions. LA was amazing Feel like a free state to have expression Spirit and financial success. I enjoyed Rodeo drive Bel Air West Hollowood and so many more…..you have to know HOW to live there ???? I enjoyed Yosemite and San Diego and LA, but as a person living in CA, I don’t think San Francisco would be the top #1. I think #1 would be Yosemite or San Diego. Yosemite is the one of the best places in the world. It’s a bit SOCal-centric. There are awesome places in Northern California too.